on it, (click here to watch the video). I love the design on this cupcake. I know many people will say, “that’s too much work for a cupcake”. Yeah, it has some work, and it would be a lot of work if you want to do all your cupcakes with the same design. The beauty about making cupcakes is that you can make them all in different designs. By doing some simple ones, your most complicated ones will shine and make a statement. Here is the cupcake! I used the Strip Cutter to makes the stripes. An easy way to make perfect stripes fast. I love JEM Cutters. They have a series of cutters that can be place in a foam they created so you can cut your pieces upside down. I love using the cutters this way because you can make sure that the cut is clean. Here to the right is the cutter I used. You can click on the photo for more info on that tool. To the left is the Roller Foam. As you can see it works with a lot of the delicate cutters from this company. Click on the photo for more info. 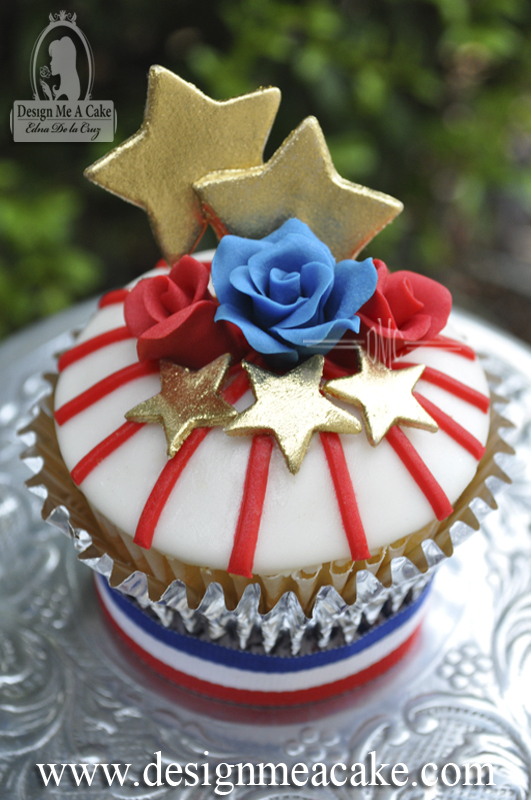 I added to the cupcake some stars. As many of you might already know, I love plunger cutters. I move fast when I used them and that’s important when making cakes. I painted the stars using my favorite gold highlighter.I did a few months ago a video that teaches how to use the Gold highlighter. You can click here to check the tutorial. I took this photo while I was doing the roses. 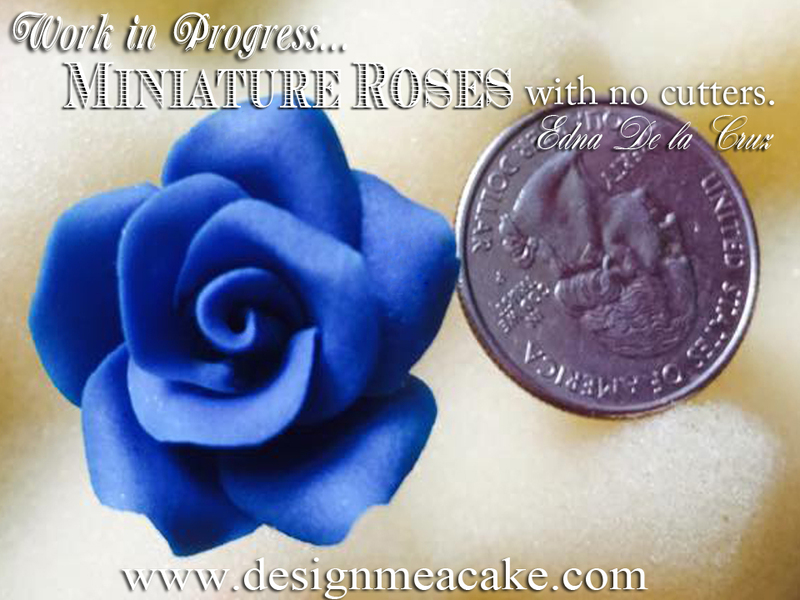 Miniature roses are fun to make. But it’s important to be able to move fast when doing them. You really don’t want to spend hours making a little tiny flower. I have 2 ways of doing these roses and in the video I just used no cutters. I will do and advanced tutorial on these flowers for those who want to learn to make them. Click on the photo to go see the tutorial. Until next time, ta ta!